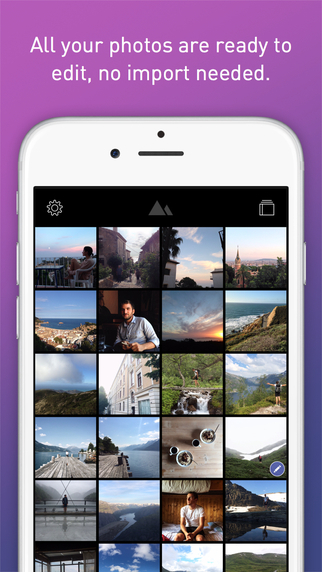 – Instant import: Your entire photo library is instantly accessible. 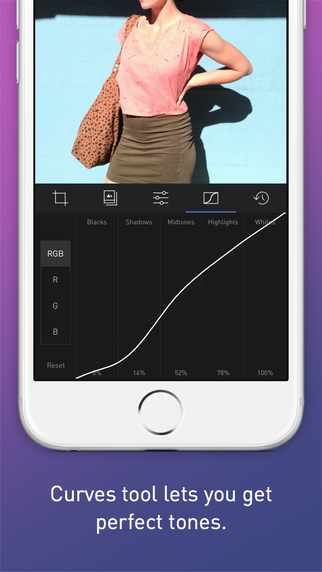 – Curves (In-App Purchase): Get the perfect tone with raw access to RGB channels. 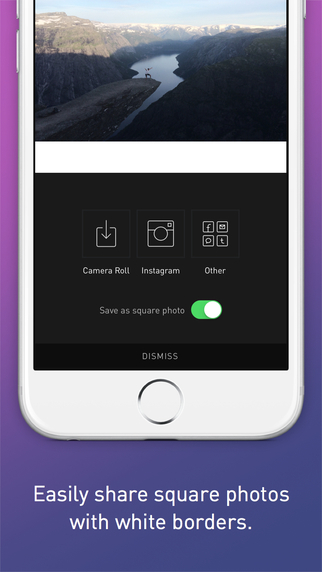 – Infinite history: Every edit you make is saved, so you don’t have to worry about making mistakes. 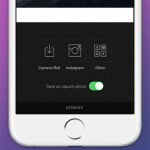 – 12 premium filters: Get started with a handful of premium photo presets. 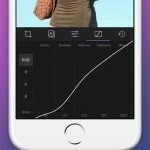 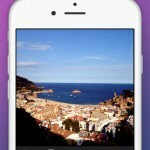 – DIY filters: Create your own filters to reuse on any photo. 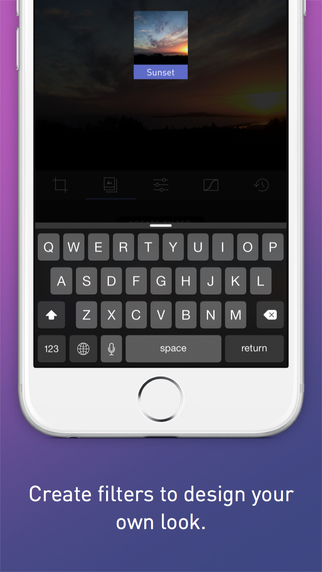 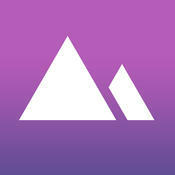 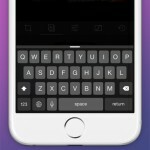 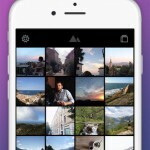 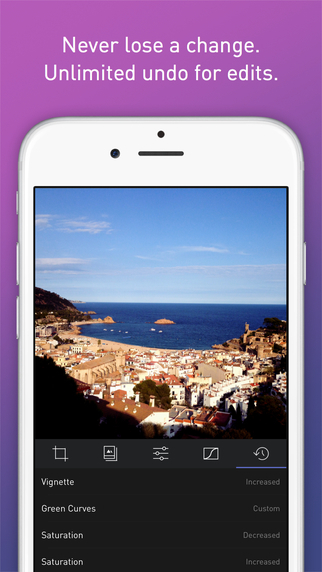 – Save as square: Easily share landscape and portrait photos to Instagram.